It can be easy to put your work as the most important component of your life and forego all other responsibilities. Entrepreneurs are notorious for caring about nothing besides their ventures, but this level of dedication is not the best route to achieve success. Not only is it important to balance work with other hobbies and activities, but also health and wellness is crucial for long-term success. After all entrepreneurship and business as a whole is more of a marathon than a sprint. Talking to anyone with a strong work-life balance will reveal productivity is one of the most crucial parts to the process. In order to have time for fun, health, wellness, and relaxation the work still needs to get done, so productivity allows for more to be done in less time and make the balancing act a bit easier. That being said, no one is always 100% productive so how do the pros ensure to never let their work-life balance get out of whack. Rena Awada is the founder of Healthy Fitness Meals and a stay-at-home mother of multiple young children. Balancing young kids and a rapidly growing company is no small feat. Awada makes sure to leave strict time blocks for all of her responsibilities. Even if she does not finish what needs to be done, she will simply move onto the next set of tasks. Her typical routine will include getting her kids ready for school and out the door in the morning, then an hour of exercise, working until her kids come home, and then being a mother until they go to sleep. She realized when she first became a mother she was eating unhealthy quick meals and not exercising in order to save time, but this only led to decreased energy and poor health. This has led to her never skipping her hour of exercise in the morning and also trying to find time for meditation when she can. 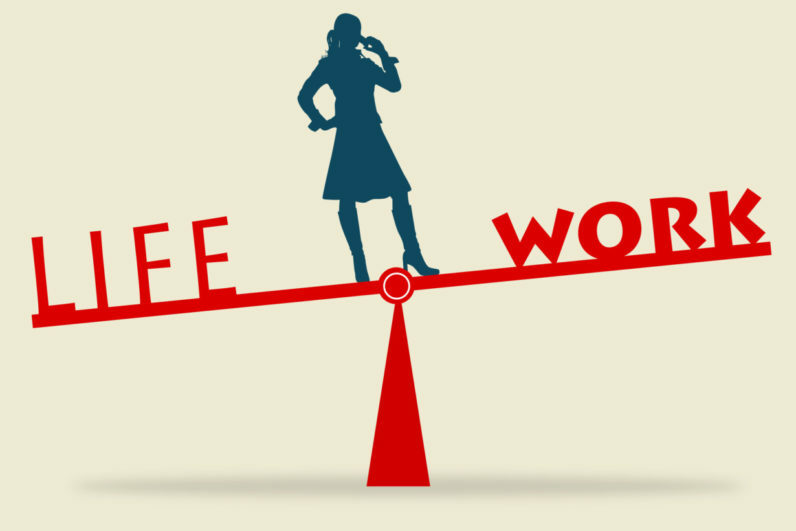 A strong work-life balance means better productivity and better health. While she may have to leave some work for a later date at times, she knows she will be more productive via her time blocking. One of the best ways to maximize your productivity while working is to turn off notifications, close social media, and only use devices when absolutely necessary. Benton Turner of the University of Pennsylvania has researched the psychological effects of digital media on individuals and identified that our minds become addicted to receiving notifications. Each notification, whether a text, email, like, or comment, triggers a release of dopamine and in turn our brains become wired to constantly check notifications. When we receive a notification, it is almost impossible to ignore it and even when we are working, our minds want to check for notifications. This is what leads to compulsively checking Facebook, Instagram, and emails when on our phones and computers. The only way to limit this adverse effect on our productivity is to limit our consumption of digital media, turn off notifications, and isolate ourselves from distractions while working. Particularly during the early stages of a startup, it can be easy to focus on everything that needs to be done and all of the problems you are facing. Negative mindsets make it harder to focus on the work at hand and decrease the drive to tackle your jobs. This is why always remaining positive is an important facet of balancing work and life. Staying positive boosts efficiency and also prevents mental health problems that can harm all parts of your life. One of the best ways to always stay positive is clearly outline what work you need to get done in both the short and long term. Aligning your short-term work with your long-term goals can boost your confidence that you are on the right track, even if you are only making baby steps each day. Furthermore, during your days you need to focus on checking off items from your list, but not thinking about the list itself. Taking tasks one at a time offers a sort of tunnel vision to prevent getting distracted. Finally, every so often take a moment to congratulate yourself on everything you accomplish, even if it may seem miniscule. Think of yourself as an Olympic marathon runner. No matter if you are a mother, a student, an entrepreneur, or an executive, your life is long and your success is not defined by individual days of work. You need to make sure to keep yourself in prime condition so you can last through the “marathon of life” and avoid decreasing your productivity or general wellbeing. Spending time to keep your work-life balance in check will ensure you are always in peak condition and can tackle anything that is thrown at you.